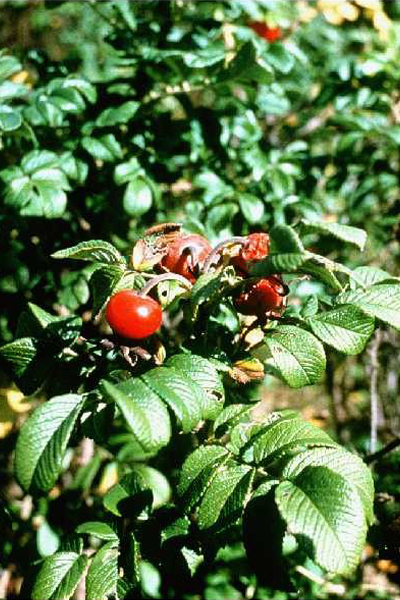 4-6′ sturdy shrub, with upright stems forming a dense mat. This plant has rose-purple to white flowers all summer. August through the late fall it has a red glossy fruit. This fruit can be used in jelly making. Rugosa Rose makes a beautiful hedge. It is pH adaptable, salt tolerant, and grows in most soil types.